BestPlaceinCanada.com is giving cities, towns, and villages across Canada the competitive edge to attract businesses, investment, professionals and families. BestPlaceinCanada.com is a one-stop shop for the most amazing cities and towns to promote themselves with almost no effort and minimal expense. For a low monthly fee of $75, your city's best assets and attributes will be featured to a global audience 24 hours a day, seven days a week. 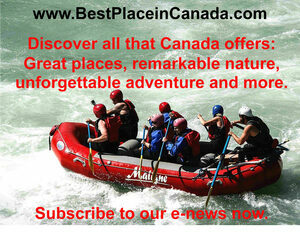 BestPlaceinCanada.com will get your community in front of Canadians looking to relocate or retire to the best destination for their lifestyles, immigrants looking to a bright future in Canada, business owners looking to start-up, relocate or expand (from Canada or abroad) and tourists seeking a great vacation experience across this amazing country. For a low monthly fee of $50, your town 's best assets and attributes will be featured to a global audience 24 hours a day, seven days a week. BestPlaceinCanada.com will get your community in front of Canadians looking to relocate or retire to the best destination for their lifestyles, immigrants looking to a bright future in Canada, business owners looking to start-up, relocate or expand (from Canada or abroad) and tourists seeking a great vacation experience across this amazing country. Looking for that extra exposure and higher visibility? Add a front-page image, complete with your community's name, that links directly to your profile for only $20 per month. You will ensure your community stands out when individuals, business owners, investors and immigrants search for place that brings their dreams into reality. Contact us directly for mailing information. Do you have a product or service that you want to advertise to the people who visit BestPlaceinCanada.com? Many more who love the great communities of Canada.